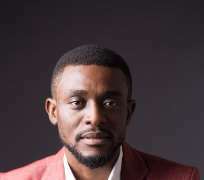 As he tries to chart a new course in the Nigerian gospel music Industry, Mairo a new gospel musician has challenged the top guns in the industry. He said that the Nigerian music scene needs a kind of revival in order for the industry to compete favorably with other aspects of the music industry 'the industry has seen the likes of Sammie Okposo, Tope Alabi, Buchi and other top gospel musicians doing their best for the industry, but right now, I feel that they should give way for the younger and upcoming gospel artists to grow. Mairo who has worked as a chorister in different Christian ministries, has four singles to his name. He has shared the stage with many great gospel music giants such as Ron Kenoly, Lionel Peterson, Cobhams Asuquo, PITA, Lara George, Nathaniel Bassey, Paul Irabor and others. Mairo, says he is out to bring people closer to God through his music, he believes he has been called by grace and anointed by God to bring the good news of the gospel across the nations of the world.